Bangkok, Thailand, November 7, 2018: EF Education First has released its annual global ranking of English proficiency today, drawing on data from 1.3 million non-native English speakers in 88 countries and regions. With a low English proficiency, Thailand is ranked 64 globally - a drop from last year’s 53rd place - and 16 out of 21 in Asia. “Thailand dropped 11 slots in one year in our global ranking of English proficiency,” said Dr. Minh N. Tran, EF’s Senior Director of Research. 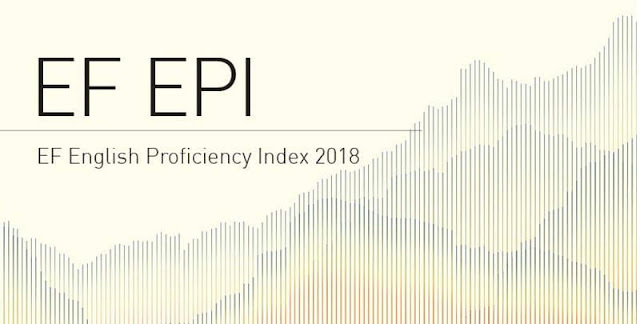 “Our EF EPI research shows that countries and individuals that invest in English education and that recognize the importance of the language as a lever for competitiveness improve their proficiency year after year. Published by EF, this ranking has become the de facto reference point for governments, companies, and educators when they discuss English skills,” she added. New correlations indicate that societies with higher English proficiency are more egalitarian. Among other metrics, these countries enroll more girls in preschool and report a greater proportion of women with bank accounts. The EF EPI is based on test scores from the EF Standard English Test (EF SET), the world’s first free standardized English test. Thousands of schools, companies, and governments worldwide use the EF SET for large-scale testing. The EF EPI 2018 report and regional fact sheets are available for download at www.ef.com/epi. The EF EPI 2018 ranking is below. EF Education First is a global education company focusing on language, academic, cultural exchange, and educational travel programs. With a mission to open the world through education, EF was founded in 1965 and has 580 schools and offices in more than 50 countries.